Iceland airline offers low-cost flights from Israel to North America, starting in June. The Israeli government on Sunday approved an agreement between Israel and Iceland to immediately allow low-cost flights between Israel and the US via Iceland. The agreement was initiated by Transportation and Intelligence Minister Yisrael Katz (Likud). The new flights will cost approximately $500 in total. Katz recently told Iceland's WOW air that starting in June, he intends to run four flights a week from Tel Aviv to Iceland's capital of Reykjavik. From Reykjavik, travelers will be able to transfer to flights headed to nine different destinations in North America. WOW chose Israel from a list of dozens of countries and destinations which requested the company run flights to their countries. According to WOW the trip will cost between $260-280 each way. At a government meeting, Katz said the agreement between Iceland and Israel was signed as part of Israel's "Open Skies" plan. 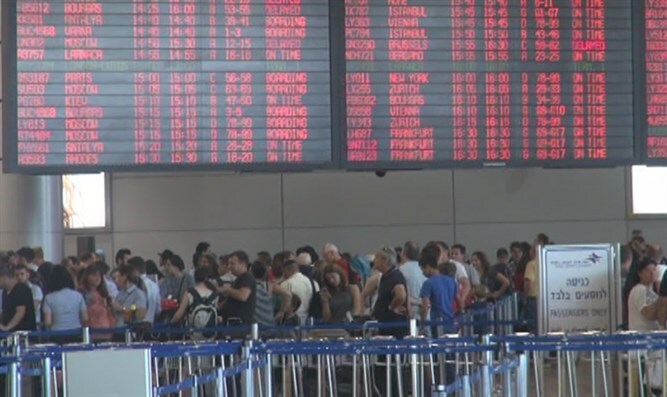 "The Open Skies agreement is part of the a revolutionary plan intended to allow Israeli consumers to fly to new destinations at low prices," Katz said. The agreement has already brought several new airlines to Israel and offered flights to several destinations at low prices. Among the new airlines are Cathay Pacific, which offers five direct weekly flights from Tel Aviv to Hong Kong, and Ryanair, which has begun offering flights to Cyprus.